The Master of Arts in Theology (M.A. Theology) is available either On Campus or 100% Online. The M.A. in Theology program is a course of study designed to give a broad acquaintance with the major theological disciplines. It is a flexible program, with a six year time limit from entry into the program to completion of the degree requirements. The program is designed to prepare men and women for ministry, religion or theology, for a subsequent Post Master’s Certificate in Theology, or for licentiate or doctoral work. Classes also serve as enrichment for persons in other professions wanting to deepen understanding of their faith or seeking to integrate their faith into their daily lives. 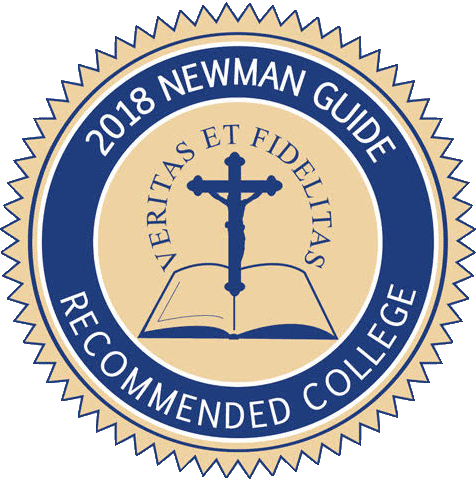 Students may pursue one of eight concentrations within the theology program, and these include Apologetics, Bioethics with NCBC Certificate, Bioethics without NCBC Certificate, Church History, Dogmatic Theology, General Studies, Moral Theology, Sacred Scripture, and Thomistic Studies. At the conclusion of the program, students will be required to complete a Summative Evaluation that may be in the form of either an MA Thesis or Comprehensive Exams. Holy Apostles offers the following areas of concentration for the Masters of Art in Theology. This allows for each student to select an area of study that best fits their goals and passion. All concentrations are offered 100% Online. The Summative Evaluation is the capstone of the student’s academic work in the M.A. program at Holy Apostles College and Seminary. All candidates for the M.A. degree are required to complete a Summative Evaluation exercise, which may take the form of a thesis or a comprehensive exam. Full descriptions of the Summative Evaluation exercise are available on the Summative Evaluation page. How long does it take to complete an MA in Theology?